GAAMAC partners have expressed interest in supporting "the mission, function, operational modality and principles of partnership of GAAMAC" as articulated in the Founding Document. If your State or organization is involved or looking to be more active in atrocity prevention and would like to become a GAAMAC partner, please do not hesitate to get in touch with the Support Office. Please see below for the necessary requirements. GAAMAC is open to all States. Any State or governmental institution may become a partner of GAAMAC by expressing its interest to the Steering Group. Please contact the Support Office to submit your expression of interest. GAAMAC partner states are expected to support GAAMAC’s mission, function and modalities as set out in the Founding Document. Any organization, including international and regional organizations, civil society and academic institutions, may become a partner of GAAMAC by submitting a letter from a senior representative to the Chair of GAAMAC, currently Ms. Mô Bleeker, through the Support Office. The letter should demonstrate the organization’s commitment to support atrocity prevention, endorse GAAMAC’s Founding Document, explain the organization’s motivation for joining GAAMAC, and describe past activities and work in the field of atrocity prevention. The Steering Group will review requests periodically. The Global Justice Center (GJC) is an international human rights organization dedicated to advancing gender equality through the rule of law. GJC combines advocacy with legal analysis, working to expose and root out the patriarchy inscribed in so many international laws. GJC’s projects forge legal precedents in venues that have the greatest potential for global impact, such as the United Nations Security Council, and in places with the most potential for systemic change, like conflict and post-conflict situations and transitional democracies. GJC believes that enforcing treaties and international human rights laws can be a catalyst for radical change, moving these hard-won rights from paper to practice. The International Coalition of Sites of Conscience (ICSC) is a worldwide network of "Sites of Conscience" – historic sites, museums, and memory initiatives – that activate the power of places of memory to engage the public with a deeper understanding of the past and inspire action to shape a just future. The Liberation War Museum (LWM), established in 1996 in Dhaka, Bangladesh, commemorates the Bangladesh War of Independence of 1971 and the atrocities that surrounded the war. The acts of memorialization carried out by the LWM make it an important organization with regards to national efforts to establish justice for international crimes, linking national and global efforts. The Montreal Institute for Genocide and Human Rights Studies (MIGS) is leading research and advocacy institute for genocide and atrocity prevention in Canada. It conducts in-depth research and proposes concrete policy recommendations to resolve conflicts before they degenerate into atrocities. MIGS has achieved recognition for its role as an idea and leadership incubator working with a wide range of national and international actors. Parliamentarians For Global Action (PGA) is the largest non-governmental, cross-party, international network of individual legislators with approximately 1,400 members in 143 parliaments around the world. PGA mobilizes parliamentarians as human rights champions committed to promoting the rule of law, democracy, human security, non-discrimination and gender equality. The organization’s vision is to contribute to the creation of a rules-based international order for a more equitable, safe and democratic world. Peace Direct is an international civil society organization that supports local people to stop violence and build sustainable peace. All the projects Peace Direct supports are initiatives started, managed, and staffed by local people. They aim to reduce the risk of violent conflict, overcome the effects of war, and strengthen communities' abilities to sustain peaceful societies. Peace Direct believes that local people should lead peacebuilding efforts and be heard by decision-makers. Peace Direct currently works with partners in 12 countries around the world including: Burundi, DRC, Mali, Nigeria, Pakistan, Philippines, Sri Lanka, Sudan, Somalia, Syria, Yemen, and Zimbabwe. 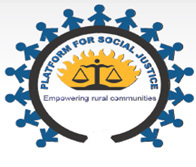 Platform for Social Justice (PSJ) is an independent non-governmental human rights organization that works to promote justice for marginalized persons and promote sustainable economic justice in rural areas in Uganda. PSJ cherishes involving, initiating and encouraging government, community members, and victims of human rights abuse to be part of human rights promotion, protection and advocacy processes. PSJ works with rural communities to challenge the root causes of injustice by building their skills and increasing their knowledge to identify solutions for lasting change impacting their lives as dignified and respected citizens, thus promoting social transformation in affected rural communities. 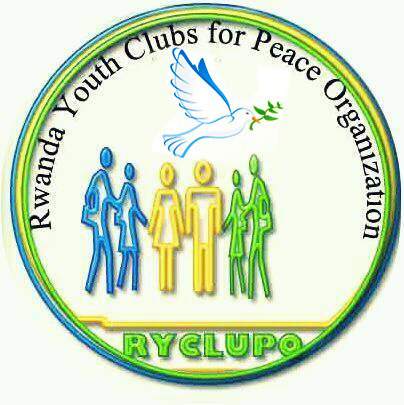 Rwanda Youth Clubs for Peace Organization is a local non-profit peacebuilding organization founded by committed teachers dedicated to sustainable peace and conflict transformation at the grassroots level. Rwanda Youth Clubs for Peace empowers youth volunteer leaders to promote peace and tolerant communities through responsible citizenship. The Youth Association for Development (YAD) is a civil society initiative based in Baluchistan, Pakistan, whose roots lie with a core of volunteers in different districts of Baluchistan. 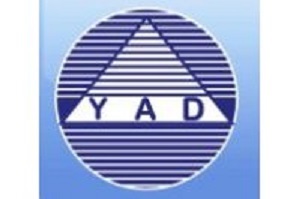 YAD is a multi-sectoral development organization using participatory development approaches to bring long-term change and sustainable development in society. Its aim is to promote and protect peace, social and interfaith harmony, democracy, human rights and social development in Baluchistan through mobilization, awareness, research, dialogue, advocacy and training. GAAMAC maintains an informal partnership with the International Holocaust Remembrance Alliance. Would you like to become a partner of GAAMAC? Please contact the Support Office!